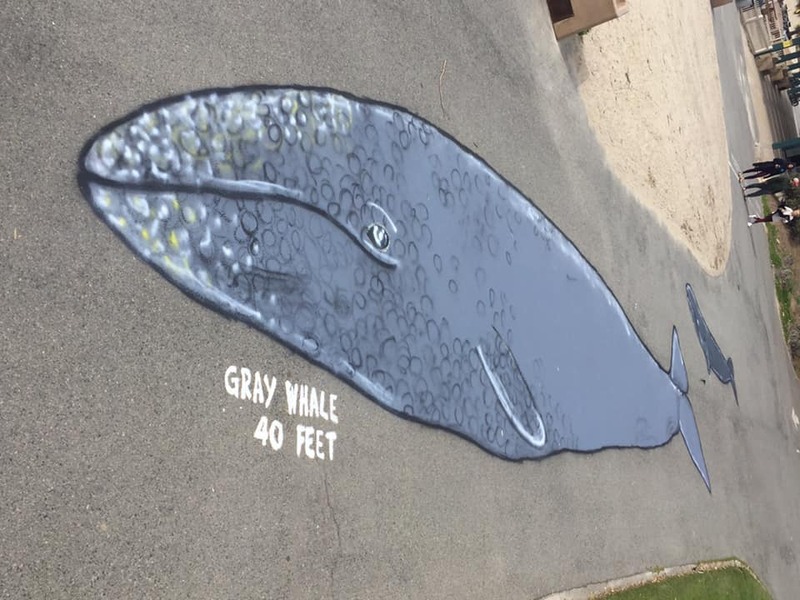 The Doheny Whale Walk is made up of life size paintings of the whales that swim passed our shores. 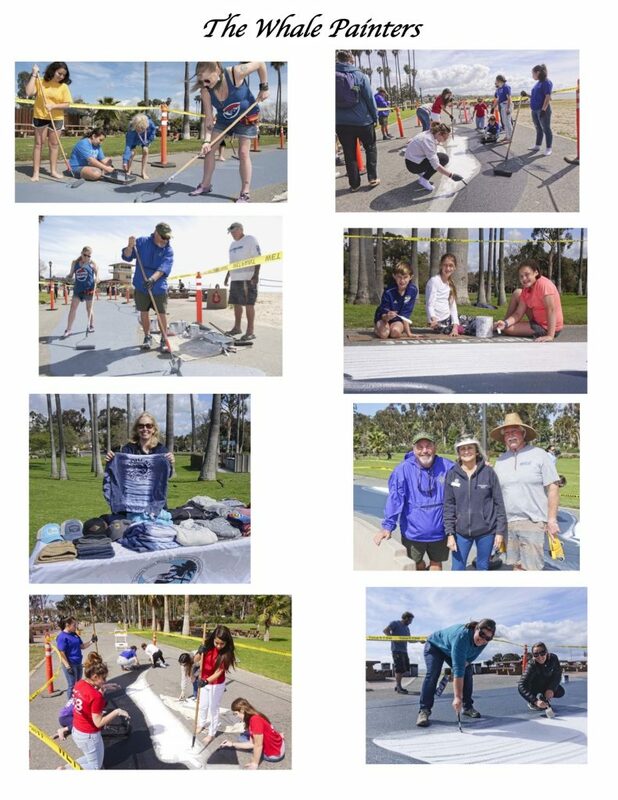 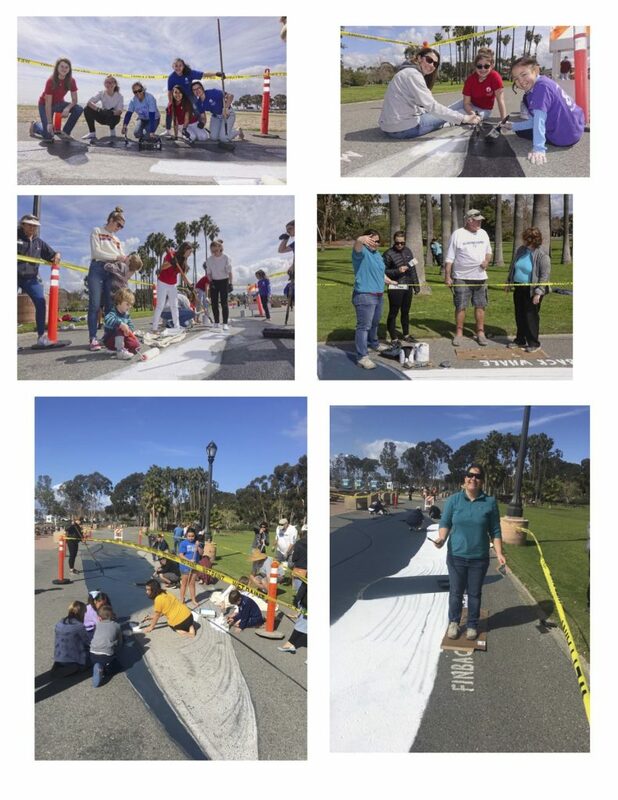 It’s located on the asphalt promenade between the green lawn of the park and the sand, stretching from the lifeguard headquarters tower to the Dana Point Harbor breakwater. 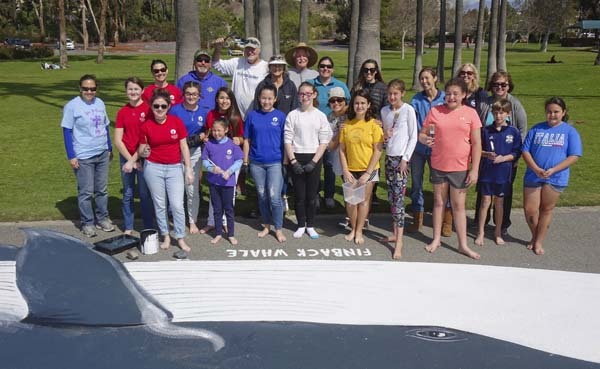 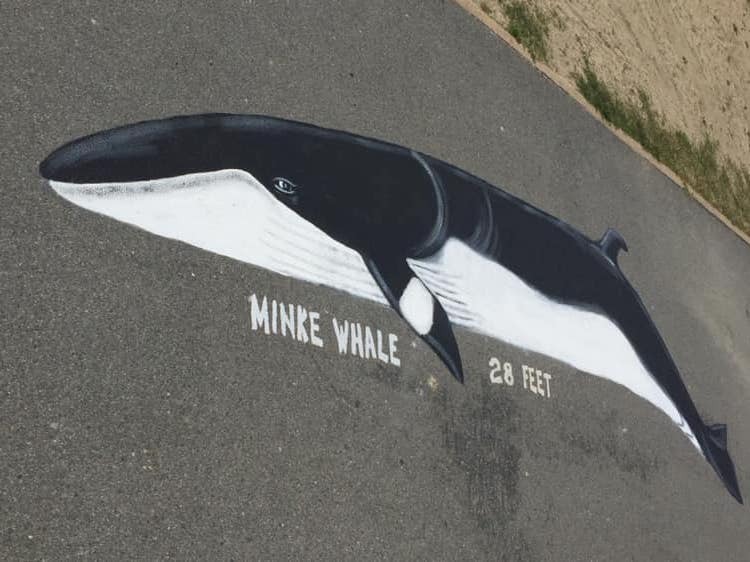 The Whale Walk is maintained by the Doheny State Beach Interpretive Association with financial support from Dana Wharf Sports Fishing and Whale Watching. 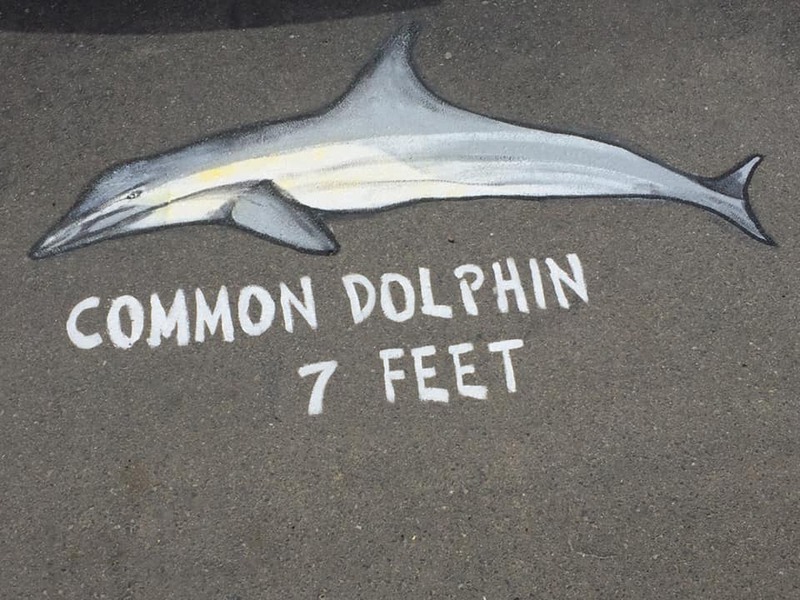 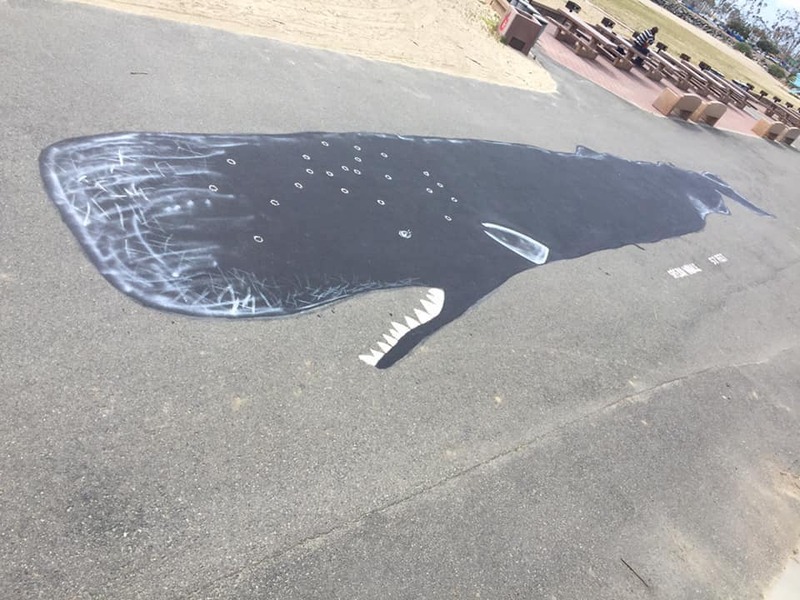 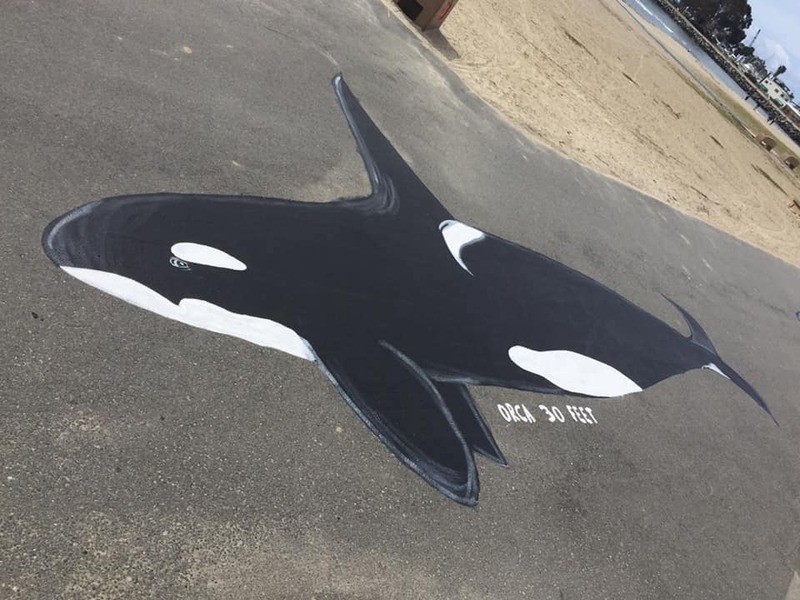 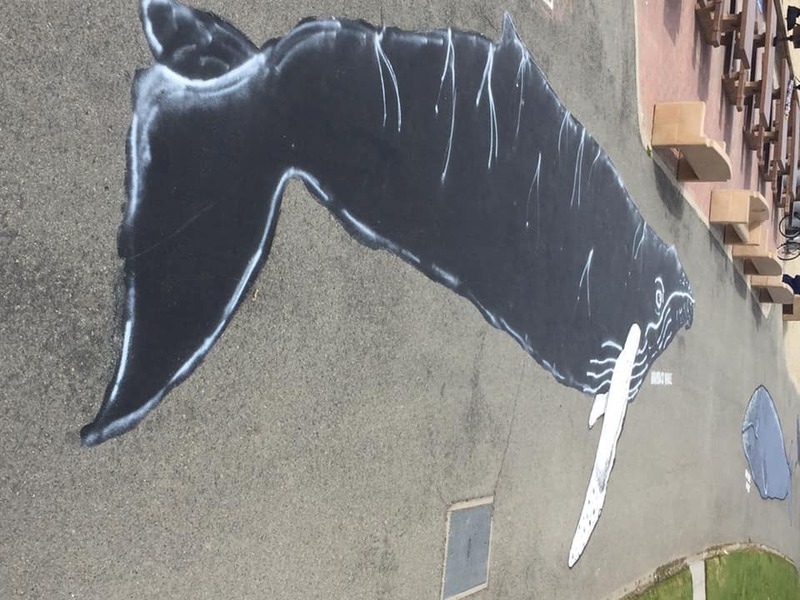 It is repainted by volunteers in March of each year during the Dana Point Festival of Whales. 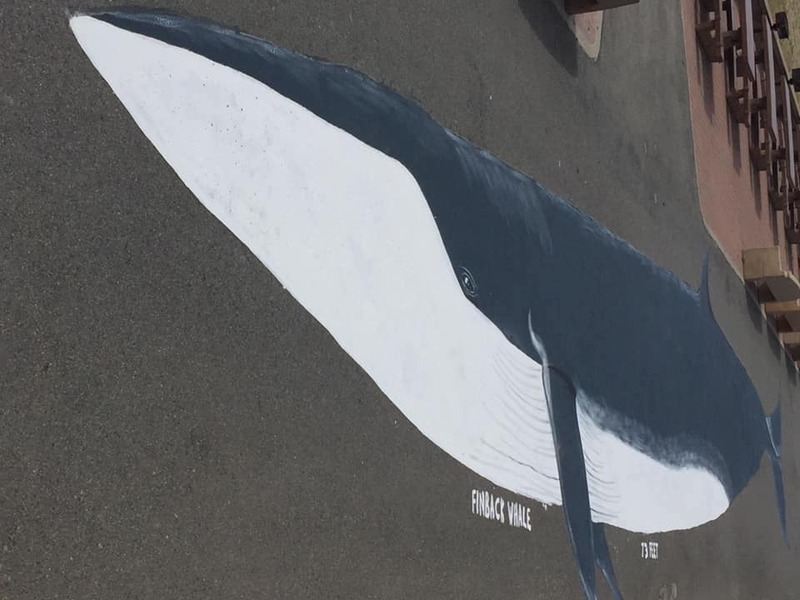 An interpretive brochure with QR codes is available to borrow in the Visitor Center.